Australia and Indonesia: what now? Australians shouldn’t underestimate the depth of feeling that Indonesians feel about the recent spying matter. It has aggravated some old, deep wounds and surprised many there. This kind of surprise leads to deep cracks that need to be repaired carefully. But it’s clear that many people on both sides want this relationship to work. That’s a plus. 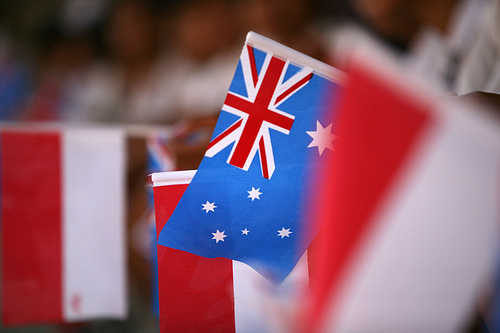 Recent statements and actions by President Yudhoyono and Prime Minister Abbott offer the hope that the Australia-Indonesia relationship can return to a positive trajectory: thinking observers will give both leaders credit for that. 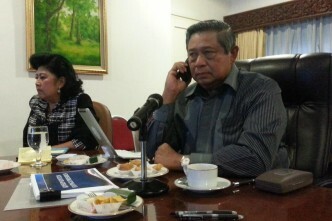 While the process requested by President Yudhoyono for creating the new security relations framework is likely to take some time to complete, it’s worth taking some early steps—including an ‘act of good faith’—and making preparations to resume the bilateral relationship now. The mechanism requested by the Indonesian President to repair the cracks and confirm the positive trajectory is a new ‘Memorandum of Understanding’. The Memo—which would include a protocol and code of ethical conduct—would extend beyond intelligence operations and sharing to cover each parties’ conduct in the future relationship. This is logical given the cause of the freeze. 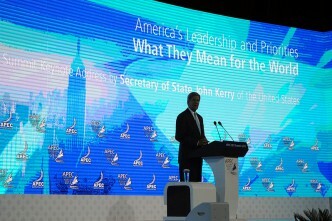 But the Memo should principally aim to bring greater resilience to this bilateral relationship, not just fix mechanics. Governments will work quietly with each other to rebuild dialogue through people in both countries and have some strong personal relationships to call upon. The Australian Government recognised the value of this approach by sending former Army Chief Peter Leahy to Indonesia as an envoy during the tension. Both governments would also do well to consider former police officers for similar missions: cooperation between both police forces hasbeen deep and mutually beneficial, and the Indonesian police commissioner reports directly to President Yudhoyono. It’s also relevant that both the Australian Federal Police (AFP) and the Indonesian National Police (INP) were instrumental in building bridges between Australia and Indonesia after the major rupture of 1999. 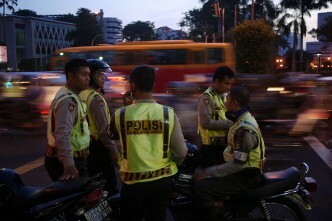 The depth of police-police contacts make them ideal for the ‘practical diplomacy’ that’ll be needed in this situation. This should be accompanied by invitations to officials from both countries to visit each other and discuss the future relationship, to ensure the new direction for the relationship is mutually understood. While that’s happening, unaffected work should be quietly continued and extant programs should be restarted as quickly as possible—under new auspices where needed. To do this, both governments will need to keep key people in place and maintain funding for all programs until full cooperation resumes. That’s extraordinarily important because relationships take time to develop, and trust based on positive mutual experience is the foundation of those relationships. Changing key personnel now would unnecessarily slow the restorative process. Given the sensitivity in the Indonesia polity, the Australian government in particular would do well to work very quietly, behind the scenes and at a sensible rate. Unilateral announcements of progress by Australian ministers must be avoided; Indonesian announcements about progress are likely to carry greater weight in both countries. It’s also important for Australians to start preparing now for the new conditions they’ll experience in the bilateral relationship. Additional training in Indonesian language, culture, politics and history is would be very worthwhile, especially for government officials already deployed in Indonesia and for those who will be posted in the future. This education will deliver operational benefits too. Senior officials who regularly deal with Indonesians might also be given the chance to learn a few phrases. While only a small gesture, it would provide a visible sign of Australia’s goodwill and future intention, because it shows a willingness to invest time in learning about our neighbour. Deeper and broader educational initiatives, such as the proposed ‘reverse Colombo Plan’ could also be instituted quickly and focus on Indonesia. It would also be worth complementing this with more scholarships and training opportunities for Indonesians in Australia too. There’s also room for an ‘act of good faith’ on both sides as negotiations for the Memorandum go on. This act could, as a priority, resume those aspects of the relationship that involve safety at sea and our law enforcement agencies. It would do well to view this as a humanitarian obligation, not a political point. During the early days of this political crisis—when both sets of officials faced ambiguous conditions and were unsure of their political leaders’ intentions, there were numerous calls to end cooperation in different areas. Australian beef cattle exports, Australian diplomats, websites and Indonesian parole processes have all been mooted as possible targets for Indonesian retaliation. Some important meetings were postponed, but most of the focus fell on military, maritime and police cooperation. In peacetime, military cooperation is often an easy target because it’s very visible and a symbol of statehood. But, perhaps because of the nature of our mutual security challenges, maritime safety and police-to-police cooperation were also early targets. This was perhaps the most regrettable feature of the freeze because the operational work involving the police and search and rescue agencies is vital to preventing crime and saving lives. Restoring this cooperation should be a priority because this work needs to be above politics. More broadly though, discussions around the memo and the future of the relationship should aim to create a more resilient relationship. As Peter Jennings recently noted, there has been a major crisis in the relationship every decade. And in between there are many sources of friction, from Australian travel advisories that portray Indonesia negatively, to consular matters involving the citizens of both countries. There might also be further revelations from the Snowden theft, and future government decisions about matters like investment can be expected to be spun negatively in either or both countries. Both sides have to create a sounder basis for the relationship. It’s important for both countries to avoid populist political concerns being the cause of damage to cooperative activities in the future. David Connery and Natalie Sambhi are analysts at ASPI. Image courtesy of DFAT.